Oh, dear reader, how I do love you! You and my fellow bloggers came through to honor Dr. Seuss and celebrate literacy. Without further ado, I’ll give you the recap. The lovely Gisela, who blogs at Adventures in Babymaking (which just makes me smirk every time I read it), read to her unbelievably adorable boys today, as usual (such a good mom!) and in her downtime (she HAS downtime?) is currently reading Lady Killer by Lisa Scottoline. 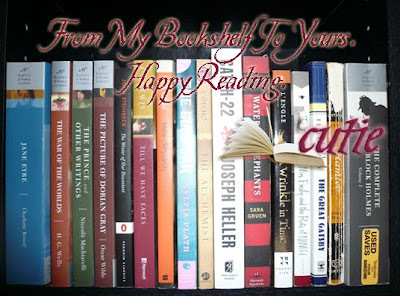 Erikasbuddy chose to read “Beastly” by Alex Flinn, probably to herself and her cats, she said via email! Beastly is a new one for me but it looks fantastic. Thanks for the suggestion, Greta! Fellow bookworm Annie Cristina not only read today, she did so with her extremely lucky high school students, with whom she’s reading the classic Catch 22 by Joseph Heller. Annie, I’ve said it before but I’ll say it again, it takes a special kind of AMAZING to teach teenagers. I bow down to you!!! She’s also reading a Regency romance, Married Past Redemption by Patricia Veryan, for pleasure. Annie, I couldn’t possibly love you more, for you KNOW how I love me some Regency lovin’! Heather (yes, there are three bookworms named Heather, but CoDW rocks the RL name online too!) from Call of Duty Widow was a sneaky, little minx and took her pic on the sly during her break at work. She’s currently reading Some Girls Bite by Chloe Neill, about vampires in Chicago. Woot for Windy City Vamps!!!! 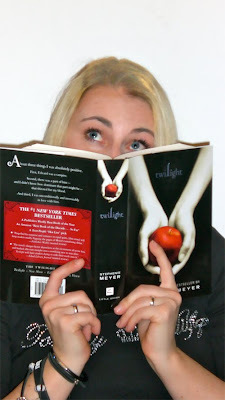 Fellow bookworm Danny chose to take her picture reading Twilight by Stephenie Meyer, the book that brought the bookworms together! Oh, Danny, I’m so happy I read that little black book that brought you into my life! Firecrotch chose to show us her GORGEOUS Kindle (she’s one of three bookworms that owns one! 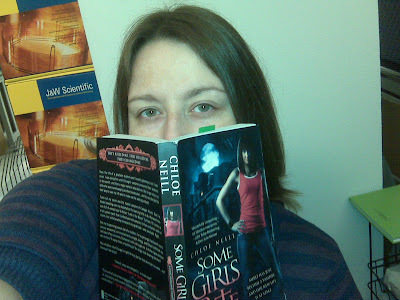 ), on which she is currently reading City of Glass by Cassandra Clare. By the look on her face, I KNOW I’m going to have to check that book out. And, I will admit to having some SERIOUS Kindle envy right now! 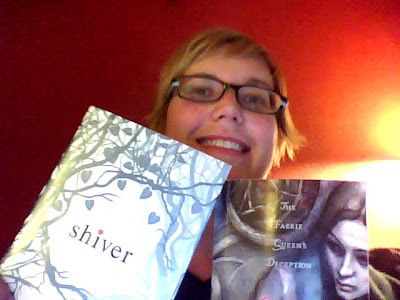 My fellow bookworm and lemon sister, uhyesplease, sent in the TWO books she picked up today: Shiver by Maggie Stiefvater, which is DEFINITELY on my to-read list as well and Lament: The Faerie Queen’s Deception, also by Maggie Stiefvater, which just got added because of the cover alone! Thanks for sharing, UYP!!!! Well, thank you all for celebrating today and for helping to make this post so wonderful. You know I love each and every one of you and I can’t even begin to describe how much fun this blog is for me! I hope you got some good recommendations today and perhaps gave a few out too! Author Interview:Kami Garcia and Margaret Stohl!! Oh Pushy you are the bestest! I love this post so much. I forgot to mention what I read today! For shame. I laid on my couch, all the live long day, reading the third Percy Jackson book. I'm lovin' them like woo-hoo. The kids have reading week next week which is a big deal in our house. We read like made crazy! I love all the pictures! And I agree, this blog is loveliness and I'm ever so grateful for it! Ohhh I love all those pictures! 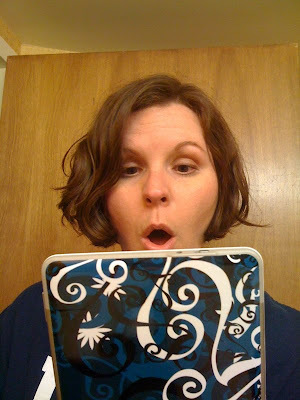 @FireCrotch You just rock on all pictures and I love the backside of your Kindle! Ohhh I love all those pictures! @FireCrotch You just rock on all pictures and I love the backside of your Kindle! I love seeing what everyone else is reading. I always need ideas on what to read next! 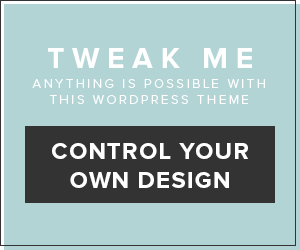 Added your button to my blog- I'm so glad I stumbled upon this one! UHYESPLEASE!! You got em!! Freaking awesome!! Those are on my list too! Super fab!! Tell me if the fairy book is awesome once you get it done. I am sooo curious!!Firecrotch!!OMG! I love that pic of you! BEST ONE!! Loved it! !Call of Duty Widow (I would say Heather but it looks like 3 of you would turn your heads and look at me) what an awesome sneaky pic!! You look very OH la la look at what I'm reading – in you pic. LOVES IT.MRS.V ! That pic of you is FABTABULOUS!!Cutie! I hope you get well soon! UHYESPLEASE!! You got em!! Freaking awesome!! Those are on my list too! Super fab!! Tell me if the fairy book is awesome once you get it done. I am sooo curious!! Firecrotch!!OMG! I love that pic of you! BEST ONE!! Loved it!! Call of Duty Widow (I would say Heather but it looks like 3 of you would turn your heads and look at me) what an awesome sneaky pic!! You look very OH la la look at what I'm reading – in you pic. LOVES IT. MRS.V ! That pic of you is FABTABULOUS!! Cutie! I hope you get well soon! This was great!!!!!!!! I love all your books and need to get my hold list of the libary updated! woot! I am actually prompted using your writing ability and in addition with all the formatting in your blog page. Is niagra the given matter and also would you adjust the item your self? In any case continue to be within the exceptional high-quality crafting, it really is exceptional to determine a great website such as this one as of late.